We will be exhibiting at the Scottish Borders art fair again this year, Springwood park Kelso. We will be exhibiting at the Edinburgh art fair again this year 23rd - 25th November. We have complimentary tickets available, please email if you if you are interested. info@numberfourgallery.co.uk, leave a postal address, tell us how many tickets you would like, and we will mail tickets out to you. 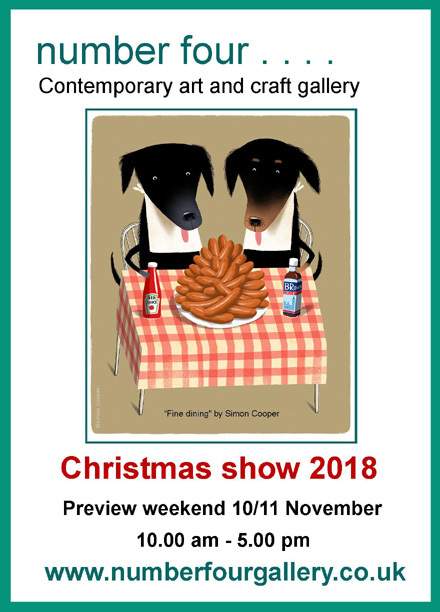 Please join us if you can for the launch of the Christmas show, over the weekend of 10/11 November. Lots of first time exhibitors to the gallery with a fabulous selection of new work. Drinks and nibbles will be served over the weekend. when we launch the Summer show. Lots of new work from new artists and makers, we look forwrd to seeing you . . . . Please join us if you can at the Edinburgh art fair 2017. 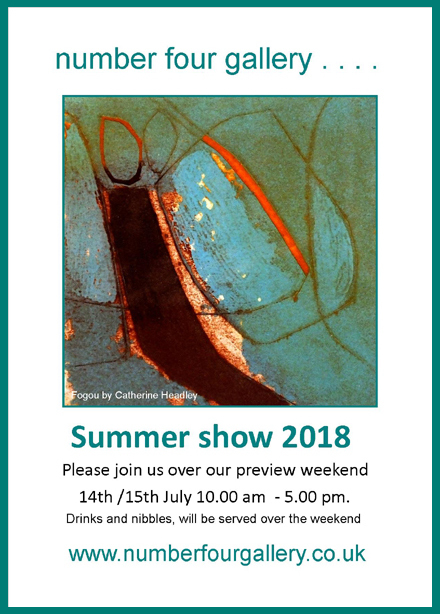 Complimentary preview tickets available, please contact the gallery, via info@numberfourgallery.co.uk, leave a postal address,and tell us how many tickets you require, and we will mail tickets out to you. 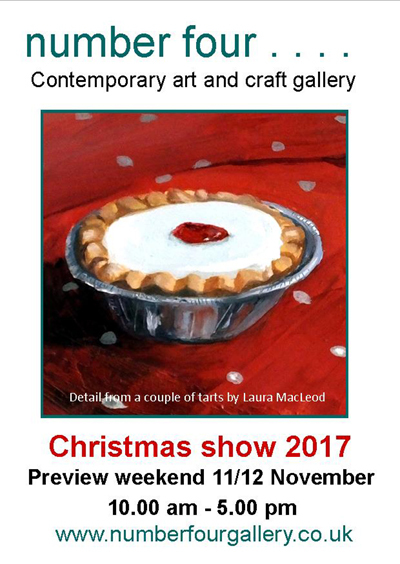 Please join us if you can on our preview weekend 11/12 November to launch the Christmas show. 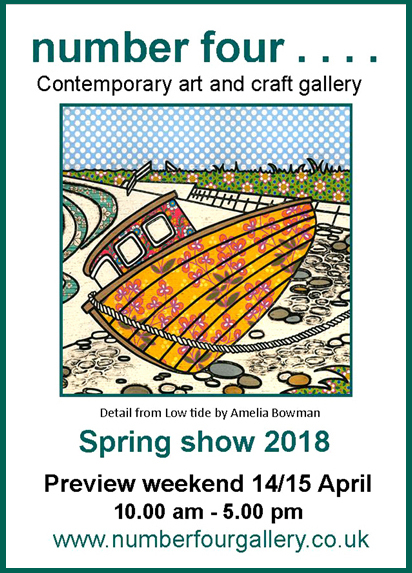 Lots of new first time exhibitors to the gallery, with a fabulous selection of work sourced from some of the countries finest artists and makers. Drinks and nibbles served over the weekend. We look forward to seeing you. . . .